If you were wondering why Jack Harrison was on my mind for this last Person-of-Mystery contest, it had everything to do with watching a movie over at a buddy's house the night before. From time-to-time, my pal Mike (who only has daughters) likes to hold a Men's BBQ Night at his place. He invites a bunch of guys over for dinner and then we typically watch some kind of war movie. Last Friday, his brother Kendall brought over the movie "Forever Strong." 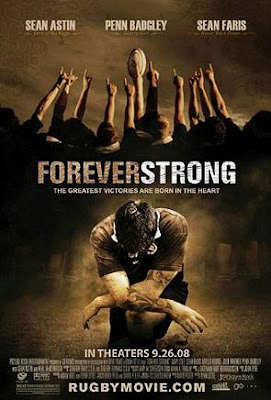 Now, I'm not usually into sports movies, but this one caught my attention as it was about rugby and I played for a short time when I was younger. It's definitely a feel-good movie, but one that's based on multiple real events and one I'd recommend. For those of you on Netflix, it's available on instant streaming.